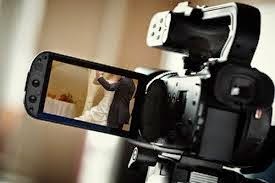 WHY BROADCAST YOUR WEDDING ONLINE ? Home » Unlabelled » WHY BROADCAST YOUR WEDDING ONLINE ? Are you disappointed that a few of your family and friends can’t make it to your wedding? No problem. Broadcast and share your special moment live online with friends and family from anywhere in the world! Not only can your viewers watch online, they can comment through facebook and truly share the experience from home, office and being mobile too. 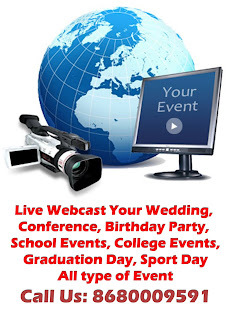 Spot On Live webcasts your wedding enabling everyone to “attend” your special day. With live wedding streaming, your guests watch your wedding ceremony and reception video LIVE via the Internet. You can even show everyone your beautiful wedding saree! From start to finish, Spot On Live can take care of all your wedding videography and webcasting needs. Our live video streaming services provide a first class and eco-friendly solution. Spot On Live is a progressive wedding company. We encourage wedding couples that consider the environment as a priority to reduce your weddings consumption by webcasting your weddings online to guests that would otherwise fly from long distances to attend.